Gear up & swim in the vast ocean, explore treasure & underwater world in this summer. Good day mate! Get ready this summer for the coolest game, let’s swim in the oceans and beaches and reduce our thirst. 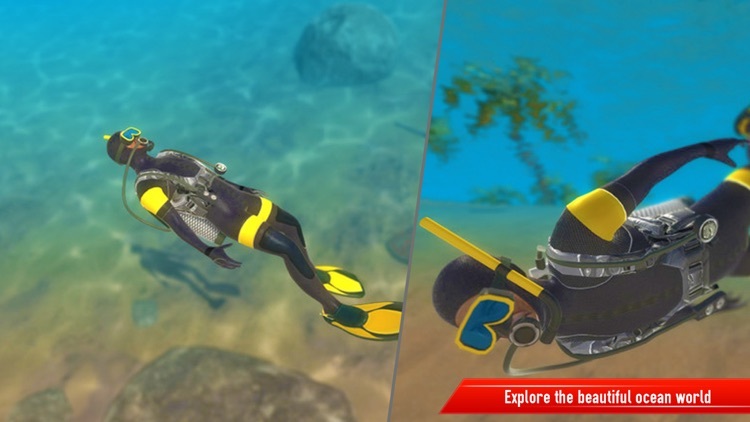 This scuba diving and swimming simulator game is especially developed for those who love to go to beaches and like surfing, water boarding, fishing and swim under water in deep sea. 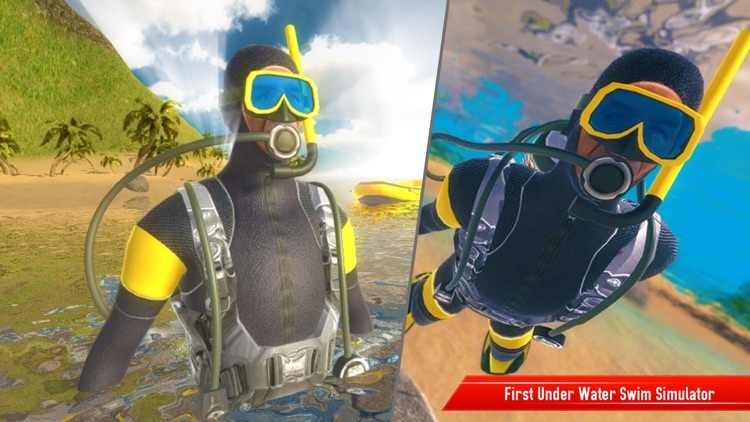 Everyone have dream to do scuba diving somewhere in the middle of the ocean and go deep in the sea and see what beneath the water, but now you can in this water scuba diving game you can Explore the beautiful beach, boats fishes and underwater world in this scuba diving water game. 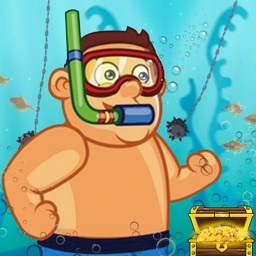 You can walk on the beach to explore its different parts and also can run to the sea and swim, to make this swimming game more interesting we have added treasure in the deep sea and you have to find it by diving in the water, swim by the arrow and complete the water game levels to open next. 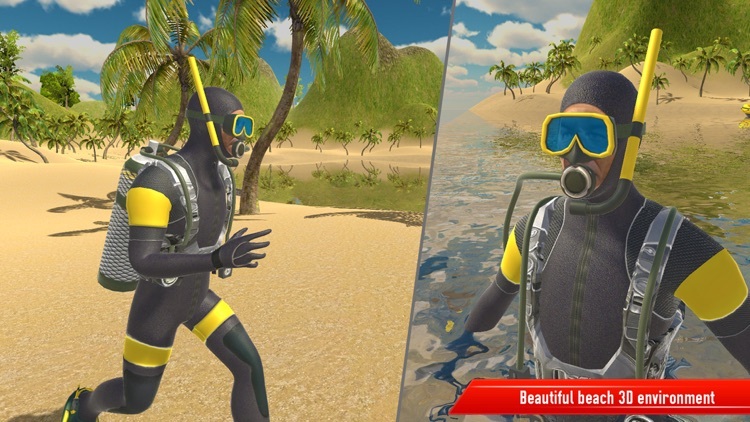 Scuba Deep Sea Swim Simulator is the summer 2017 water game for your enjoyment and fun, while playing this beach and water game you will get the real feel of swimming and diving in real water, we have applied real physics to water to make it look like real ocean water. Now you don’t need to go to any beach or swimming pool. 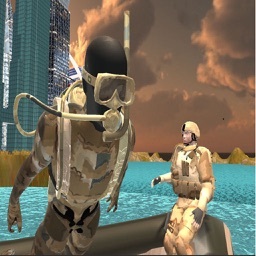 You have the real sea diving simulator in your hands, open it and jump into the water and enjoy the real water surfing simulator. 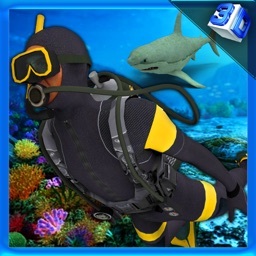 In Scuba Deep Sea Swim Simulator there are no time limits for swimming or deep water diving you can play it anytime anywhere and at any place, even if you feel frustrated by office work just download and play scuba water diving game and share it with your friends. 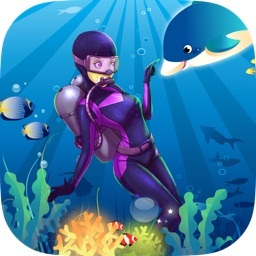 Don’t worry there are not sharks or hungry fishes that will eat you, you just have to dive and if you don’t know swimming or scuba diving this game will teach you without fear how to swim or do scuba diving and also underwater stunts, swim freely in this water swimming game. Download now for free. 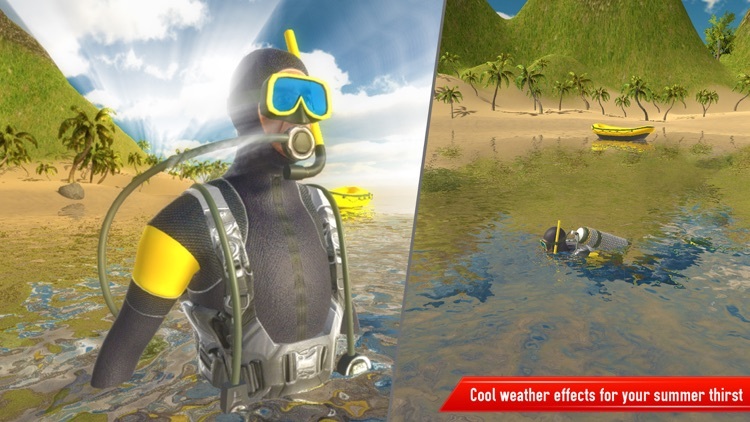 -	Awesome 3D graphics with beautiful beach and water environment. 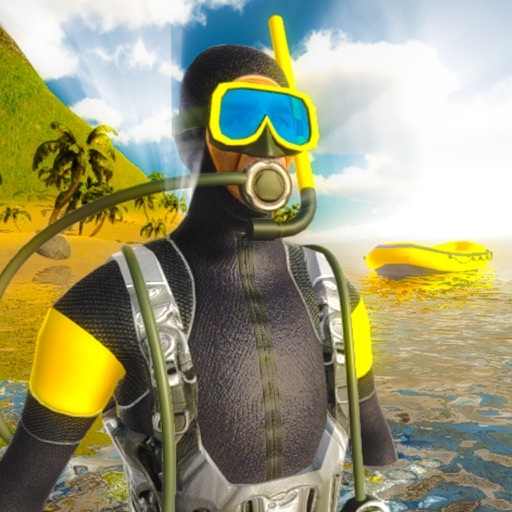 -	Smooth control with 3D model of male scuba with gear. -	Cool Background music and sound effect for more amusement. -	Multiple levels to play and explore treasures in water. -	Easy to play and swim, go into deep sea. -	No time limits, swim anytime without limits. 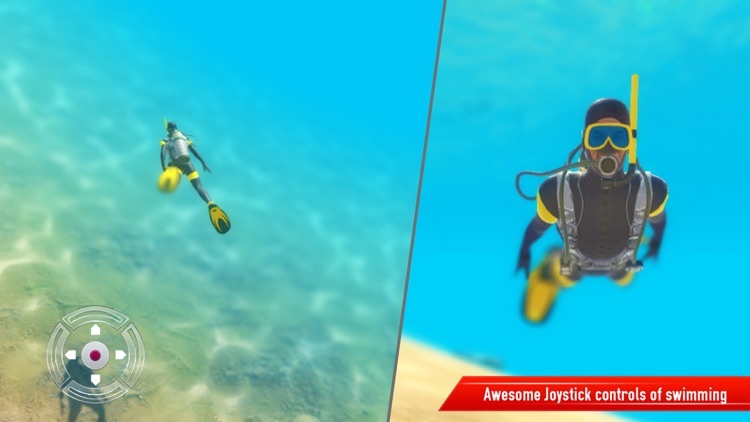 -	Frist Underwater swim simulator. -	Explore the beautiful water and ocean world. -	Cool weather effect for summer thirst.